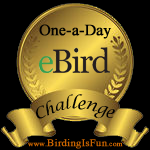 This entry was posted in Alberta Birds, Bird Conservation, Birding, Birding News, Blogging, Canada Birds, General Birding, Nature, Winter and tagged Birders, Birding, Birding News. Bookmark the permalink. It is sad to hear the Whooping Cranes were killed, that is just awful..